Lucy Crowe has established herself as one of the leading lyric sopranos of her generation. Described as having a voice of bell-like clarity with an impeccable vocal technique and powerful stage presence she has performed and recorded with many of the world's greatest conductors. These include Yannick Nézet-Séguin, Emannuelle Haïm, Sir Antonio Pappano, Sir John Eliot Gardiner, Sir Charles Mackerras, Sir Roger Norrington, Edward Gardner, Andris Nelsons, Iván Fischer, Esa-Pekka Salonen, Trevor Pinnock, Mark Minkowski and Harry Bicket. She made her Salzburg Festival debut under Ingo Metzmacher. She has given recitals throughout the UK including London's Wigmore Hall and made her her recital debut at Carnegie Hall last season. Her operatic roles include Servilia La Clemenza di Tito for the Metropolitan Opera, New York; Susana Le nozze di Figaro, Belinda Dido and Aeneas and Gilda Rigoletto for the Royal Opera House, Covent Garden; Sophie Der Rosenkavalier for the Deutsche Oper Berlin, the Bayerische Staatsoper, Munich and Covent Garden; Poppea Agrippina and Drusilla The Coronation of Poppea for English National Opera; Dorinda Orlando in Lille, Paris and for the Opera de Dijon and The Fairy Queen and the title role in The Cunning Little Vixen for Glyndebourne Festival Opera. She made her US Opera debut as Iole in Handel's Hercules for the Chicago Lyric Opera. Future engagements include concerts with the Orchestre National de France under Daniele Gatti, the St Petersbourg Orchestra under Yuri Temirkanov , and New Year's concerts with the Scottish Chamber Orchestra under Gergely Madaras. 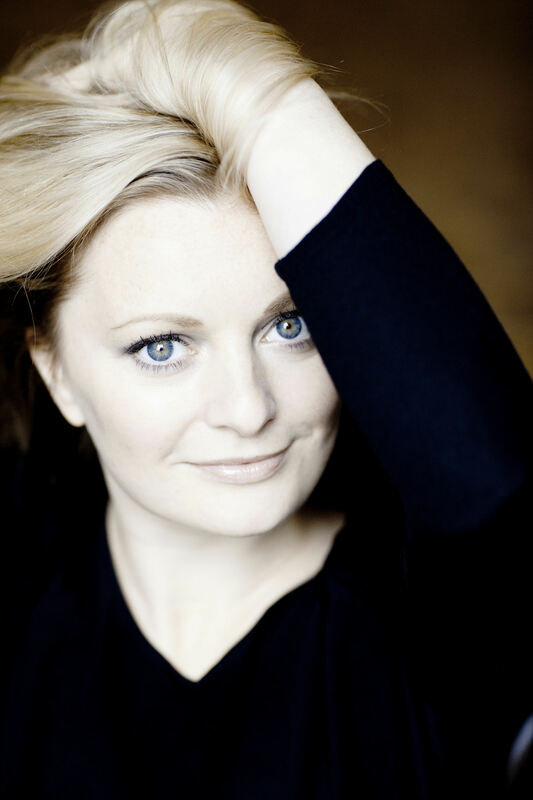 Future operatic engagements include Adina l'Elisir d'Amore for the Royal Opera House, Covent Garden, Dona Isabel (Purcell's Indian Queen) for the English National Opera, and returns to Glyndebourne and to the Metropolitan Opera.